Expo West provides a tremendous opportunity to receive invaluable customer feedback–if only people would see it and use it that way. For food brands, exhibiting at Natural Products Expo West is no small endeavor. It requires a lot of time, money, preparation, and manpower. However, the end goal of advancing the business and generating sales can often make it more than worth the effort. Without question, making a positive impression on buyers, distributors, partners and the media is of primary importance. Yet, almost every brand I encountered at Expo West a few weeks ago made a huge mistake, effectively missing out on a major opportunity: they failed to maximize their three days at the Anaheim Convention Center by not using that time as a massive customer feedback session. As hundreds or even thousands of people stop by company booths, many of whom are industry experts, employees should be prepared to glean as much information from them as possible. This isn’t just a time to sell. This is also a time to get feedback on their products. For every person working the booth, set a goal of getting feedback from a certain number of people each day. Let’s say it’s 25 people. With three people working in the booth, that’s 75 pieces of feedback per day, or 225 for the entire weekend. Get employees invested, and give rewards to every employee who meets their goal and to the person who gets the most pieces of feedback per day. By framing it this way, you are making the person feel more comfortable in giving constructive criticism. You’re inviting it. You’re encouraging it. Furthermore, everyone loves giving advice, and they’ll more readily provide it when it’s solicited. Once a positive and negative piece of feedback is given, the employee should make sure to do the following: get the person’s business card, thank them for the honest feedback, and ask if it would be okay to follow up if they had any additional questions. Follow those steps up by writing down both positive and negative feedback from the individual. Meticulous notes are a must if the feedback is going to be in any way useful. At the end of the three days, companies are going to have incredibly valuable and insightful information about their products that they didn’t have before the Expo. And the best part about it is that no expensive focus groups were needed, and it was all done in a very time-efficient manner. Furthermore, by gamifying this customer feedback exercise, employees will stay a lot more energized and interested in what would otherwise be a long few days in a conference hall. 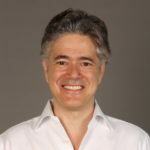 Max Goldberg is the Founder/Publisher of Organic Insider, a weekly subscription email that is read by many of the most influential CEOs in the organic industry. Max has been called “an organic sensation” by The New York Times and was named as “one of the nation’s leading organic food experts” by Shape. He is the founder of Living Maxwell (www.livingmaxwell.com), one of the most widely read organic food blogs in the country, and Jobs in Organic (jobsinorganic.com), a job board specifically for the organic food industry. Great advice, Max. As a former health reporter for the Orange County Register, I covered the expo a couple times, and it’s head-spinning (as is every event at a building that large). There’s simply too much too look at, much less stuff into a cohesive newspaper story. One year I featured the “hottest” new items, but how much can you say about a new water bottle that holds a chunk of fruit at the top? One time I met Janet Evans, and that was cool. But of course she was hawking a product line, so she had a vested interest. Other products, without a Janet Evans, simply get lost in the shuffle. You’ve got an organic line of laundry detergents? Oh, YOU’VE got the kind of coconut water that’s going to revolutionize the beverage industry? Good luck with those. So yeah, any opportunity for these entrepreneurs to learn from their peers, and regular folk, is essential.